I had ordered it several weeks ago, back when I was searching for the project. The weather was changing, and I hit upon the plan of making myself Laura’s Top-Down Shoulder Warmer (apologies for the Ravelers-only link; this pattern has disappeared off her blog’s shop). I was utterly enthused at the idea of having something light to keep me warm in the deep freeze that is my workplace in summer. 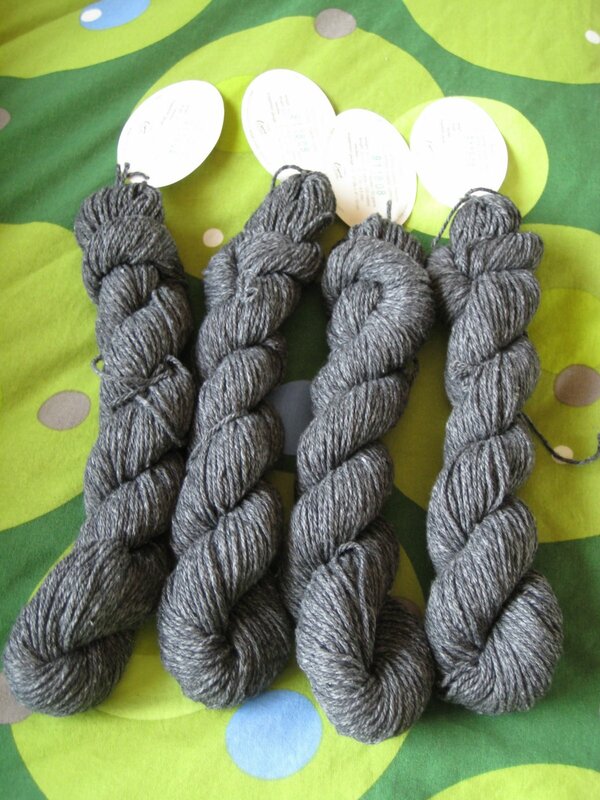 Then I learned that my LYS (good on stocking standards, bad on color) had to special order the gray, and my excitement was shot down like the Flying Ace over enemy territory. On to socks! Well, now it’s here, I’m up to my ears in churning out little giftlets, and a shrug couldn’t be farther from my mind. Doesn’t it so figure? Looking forward to see this in progress. The color is great.